Sometimes it can be the small things in life that can make life hard. So it is good to know how to eliminate such problems by yourself in an easy and reliable way. This also applies to corrosion protection of vehicle batteries as well as other electrical contacts that are exposed to harsh weather. They can rust and then fail to function. At worst, your car fails to start in the most inopportune moment because the battery contacts are rusted. And that is despite the fact that taking precautions is so easy with Caramba battery terminal grease. It is true that advanced car batteries have a factory-protection against terminal corrosion, but your car battery still requires maintenance and protection alone because of its permanent contact with air and weather-caused moisture. If contacts rust, contact resistances increase and your battery may fail. The same applies to other devices with electrical contacts such as outdoor lamps, monitoring devices and motion detectors. With our battery terminal grease, you can protect these contacts by a grease film that prevents water to penetrate and guards against corrosion. Take the protection of your car battery and other electrical devices now into your hands and prevent repairs or malfunction later on. 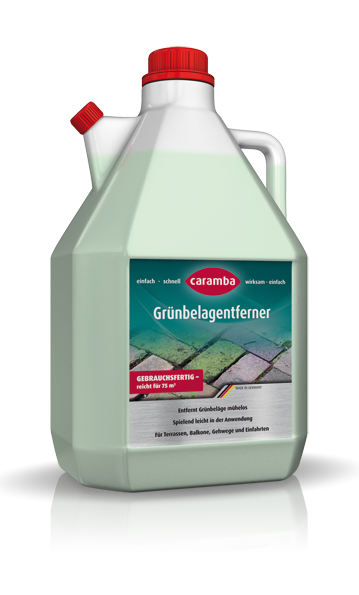 Use our battery terminal grease from Caramba in its convenient spray can. Caramba’s battery terminal grease is very easy to use. All you have to do is to clean and dry the concerned battery terminals and then to spray with a few bursts. This terminal grease immediately develops its effect and promptly protects against moisture, corrosion and oxidation for a long time. In motor vehicles, it is recommended to apply the product on the connecting clamp and on the connecting screw. In other devices, plug-type connections and lamp sockets require special protection. Important note: Please spray the product only onto completely tightened screw connections and not onto the bare posts as this battery terminal grease has an insulating effect between contact and conductor. Solve your problems yourself and protect your car battery reliably and efficiently against corrosion using our battery terminal grease from Caramba.